My reception was a church and friends community effort and Nicole's tips are wonderful! If you are on a budget you can pull together a lovely reception! 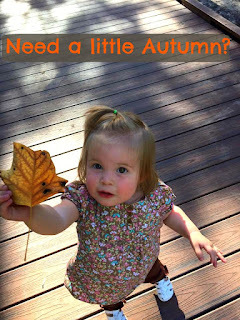 Go check out her post and pin it like I did! Nicole Congats! 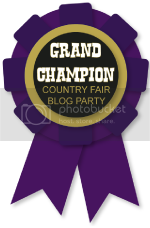 come grab a Champion Ribbon to post on your blog! 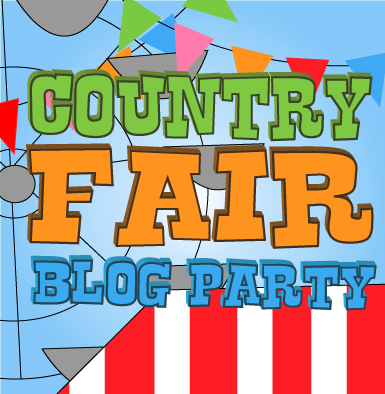 Now it's our time to party again! September, I am so glad you are here, oh how I've missed you! Here is a little photo of my grand daughter just to say hello! Hi Jan, Thank you for hosting! Enjoying the Country Fair! help with the hassle free management of an event. Hence my friend suggested me to hire professional services through online services over here and to enjoy the occasion. As you guys always organize such parties what will be your suggestions for me?